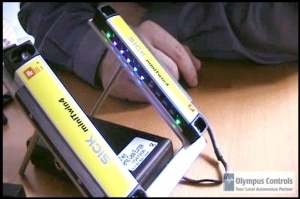 The miniTwin is a safety light curtain with integrated intelligence in a minimized format. Check out what the new �minivation� can do for you! The miniTwin offers the simplest handling for maximum availability. For the first time, sender and receiver elements have been integrated in an extremely compact housing�120 mm all inclusive. The Animatics SmartMotor is a complete, compact, and user-friendly integrated motion control system. 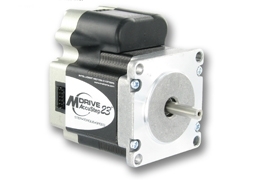 Check out what the new Class 5 SmartMotor can do for you! 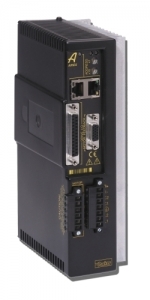 The Aries Controller combines the powerful features of the ACR Controller with the Aries digital servo drive for a complete stand-alone servo solution in one small package. Denso Robotics 6-Axis robots no longer suffer from singularity. Watch our video below to learn more on how Denso�s engineering team has solved the problem. 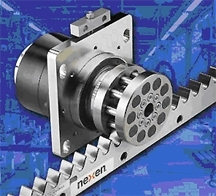 Nexen Group�s unique new Roller Pinion System (RPS) revolutionizes linear and rotary motion. The RPS allows machine designers to incorporate highly accurate linear and rotary motion-control functions with zero backlash and speeds as high as 11 meters per second (36.1 feet per second). The medical sector is an extremely complex environment in which drugs and medical devices need to be traced to ensure that the right drug is administrated to the right patient at the right time in the right dosage. And while serialization standards exist, product manufacturers know that new, higher standards along with mass serialization of packaging involves more than simply reading a barcode on a label; all of the data on the label must be verified for accuracy. 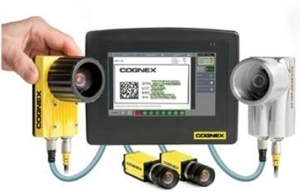 Cognex In-Sight Track & Trace is up to the challenge. AccuStep is an all-in-one step motor system integrated with new motion control technology that prevents unintentional stalling due to transient or continued overload, extreme acceleration or deceleration, or excessive slew speed. The DataMan 200 adds Ethernet connectivity and liquid lens technology to what's billed the world's smallest high performance fixed-mount ID reader. These new features enable faster communication speed, easier integration with factory controls, and software-driven autofocus for easy, hands-free set-up. Ethernet connectivity gives DataMan 200 users the advantage of real-time data and image transfer, and easier integration with plant controllers and information networks. 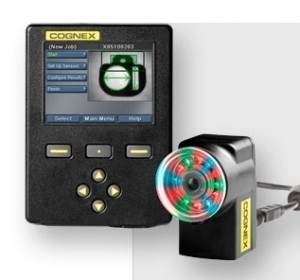 Cognex� Corporation (NASDAQ - CGNX), the world's leading supplier of machine vision systems and vision sensors, has added the Checker� 3G series to its award-winning Checker vision sensor product line. With simple setup, integrated part detection, lighting, I/O and job change all in a rugged IP67 housing, Checker 3G is the easy, reliable and affordable way to verify all products or parts on the line.